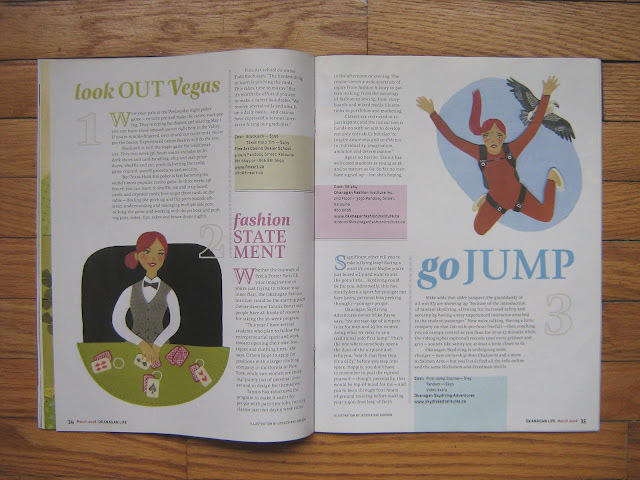 Back in November, I was contacted by Tara O'Reilly, the graphic designer for YMCA Calgary magazine. We worked together to create a a number of illustrations about the importance of scheduling after school activities for your kids. Here are two of them. 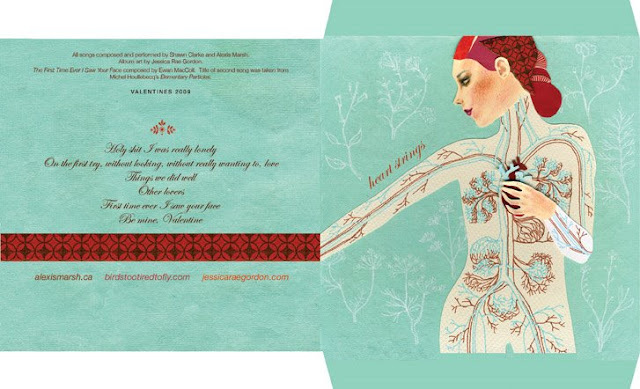 Shawn Clarke and Alexis Marsh collaborated again to create a special Valentines cd. 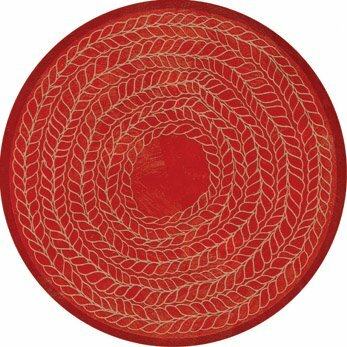 I pitched in and created a cd pouch, web page and html e-mail. Be sure and listen to it here! Well I've been cutting and folding and pasting and taping and I'm very pleased to present you with my new promotional! 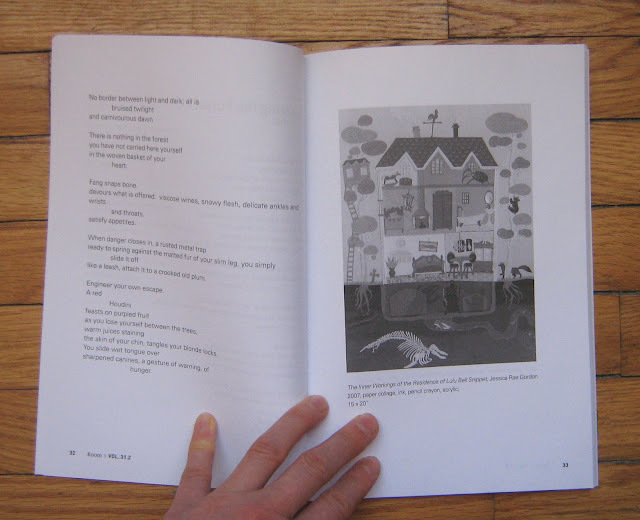 The folding design shows off my Doll House interior theme perfectly and I'm just thrilled. 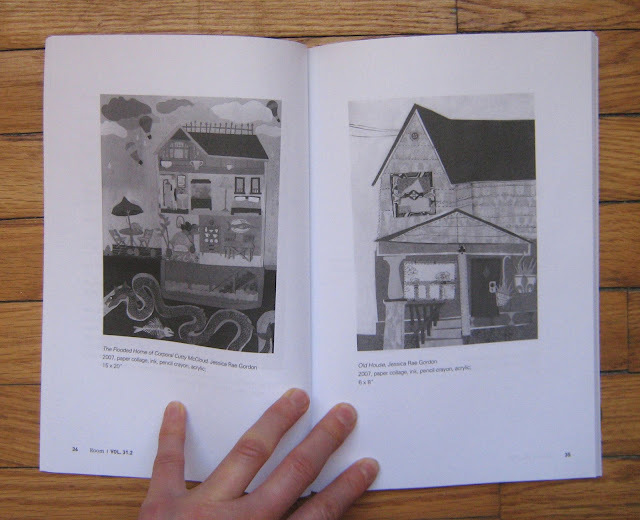 This features six different interiors from my larger Doll House illustration series. They have been meticulously adjusted to fit the new space. Each promotional is made out of 1 1/2, double sided sheets of standard 8 1/2" by 11" paper. They have been folded down into approximately 4" tall and 5 1/4" wide. Well this was a fun, collaborative Christmas gift made for the enjoyment of the family and friends of Shawn Clarke, Alexis Marsh and myself! 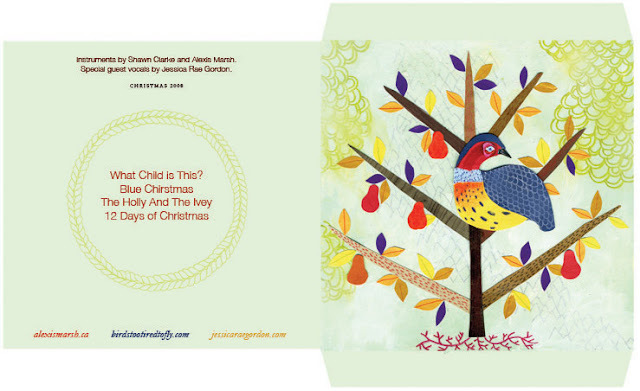 I got to illustrate the cd package design and guest sing on The 12 Days of Christmas. Listen to it here. 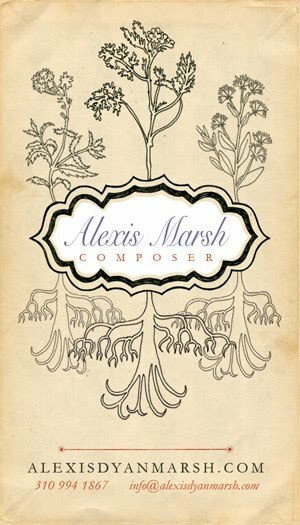 My wonderful and talented friend Alexis Marsh was making an important trip to LA to suss out the composer scene there. 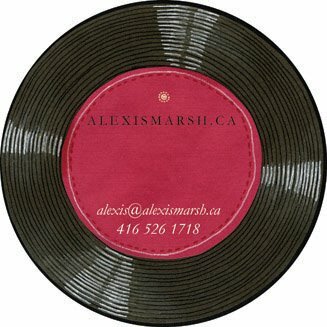 She asked me to help her design her business card, website and demo cd package design. 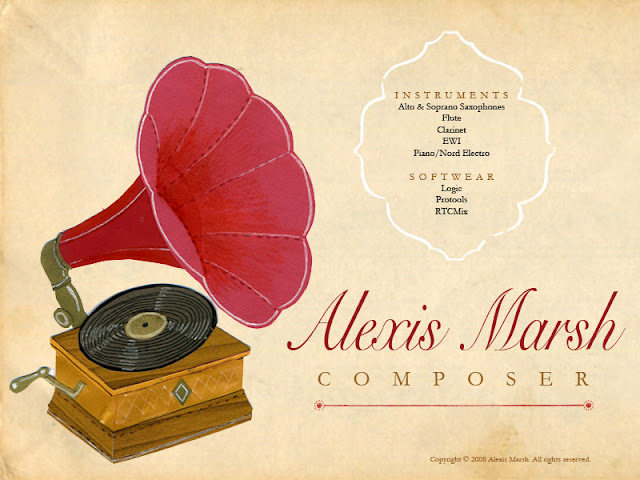 I always enjoy designing branding for creative people, and Alexis was open to all my suggestions. 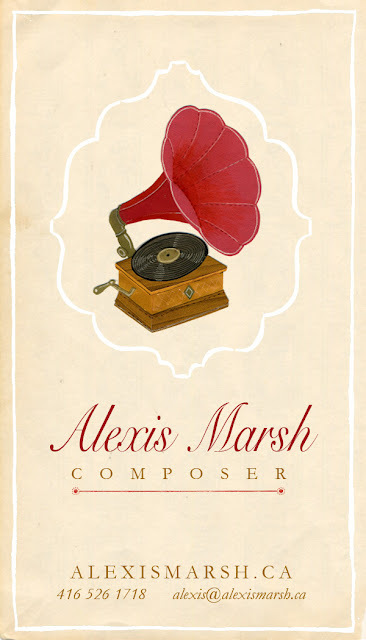 All she asked was that I incorporate a Victrola into it, which I was more than happy to accommodate. 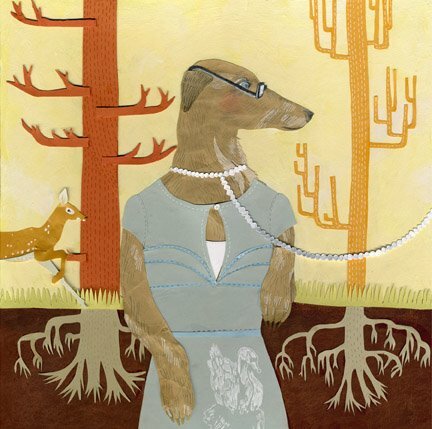 My talented sister Kristy Gordon was invited to submit to a gallery show in Ottawa called Puppy Love put on by La Petite Mort Gallery. Kristy recommended me to them and so this is what I submitted. The show ran from June 6th - 29th, 2008. 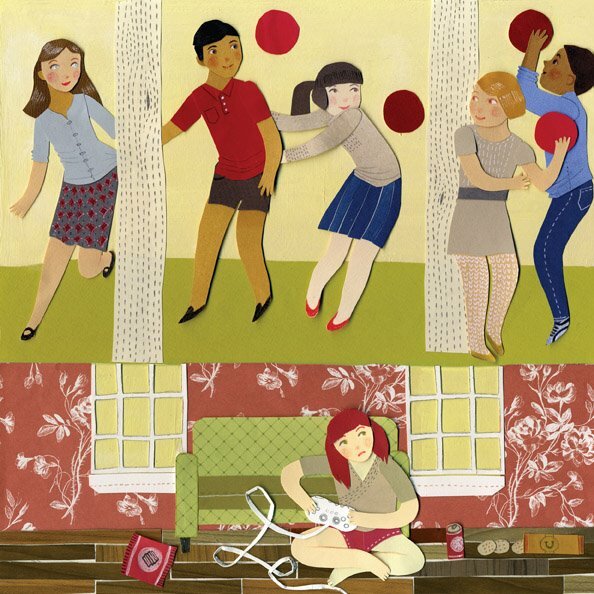 Room Magazine is a feminist magazine based out of Vancouver. 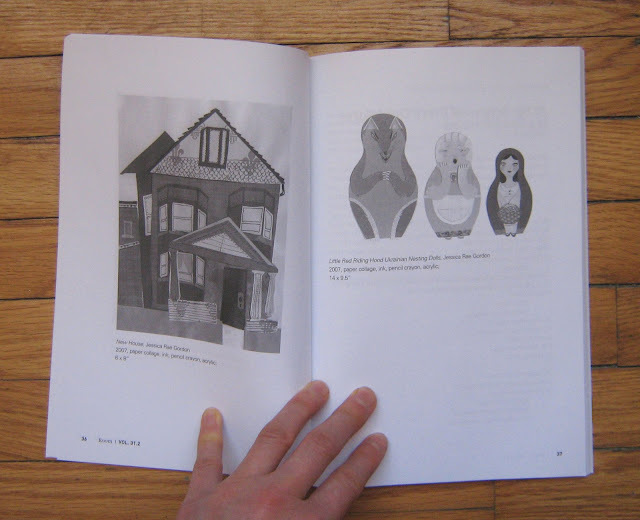 I was happy to be contacted by Ana Torres who asked me if they could publish five of my illustrations that I had previously completed. 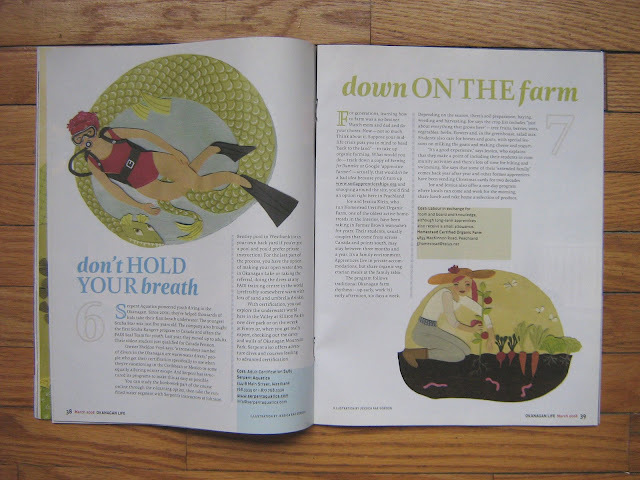 Overlapping my work on Okanagan Life Magazine I was commissioned to do seven spot illustrations for Canadian Family Magazine with art director, Jeff Hannaford. This was for their Ages & Stages section. 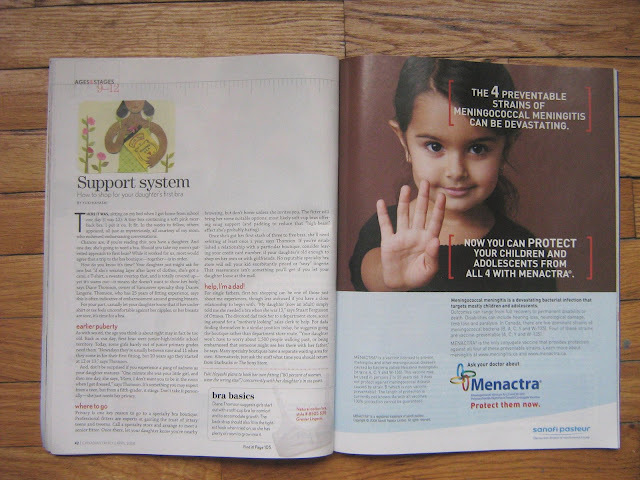 They do a one page article featuring certain milestones or issues associated with particular ages in your child's life, from pregnancy to teenager. 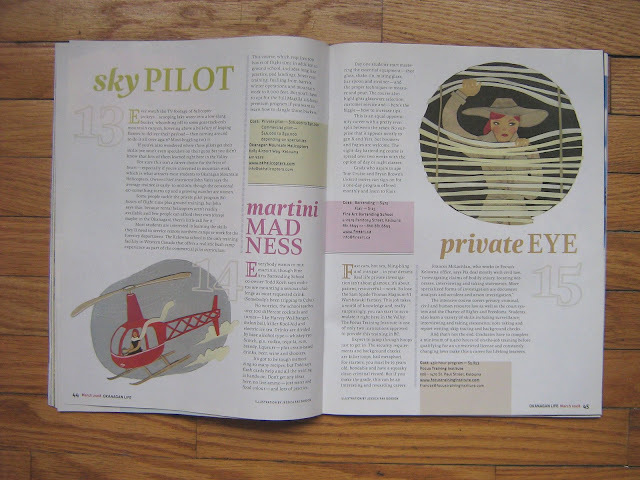 After my big mailer send out in January, I was contacted by Luke Redd, the art director of Okanagan Life Magazine. A magazine based in beautiful British Columbia. 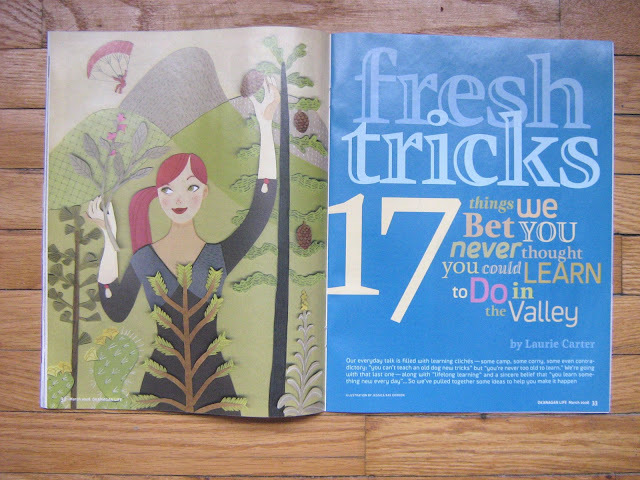 The article was entitled, "17 Things We Bet You Never Thought You Could Learn To Do In The Valley", written by Laurie Carter. It was a really fun job. 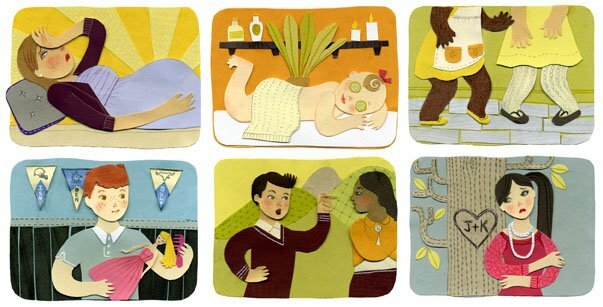 I enjoyed the wide range of activities I got to illustrate. First post on my blog! Instead of starting from scratch, over the next few days I'm going to play a little catch up and highlight some of my proudest artistic accomplishments during 2008. I'll start with my mailer. 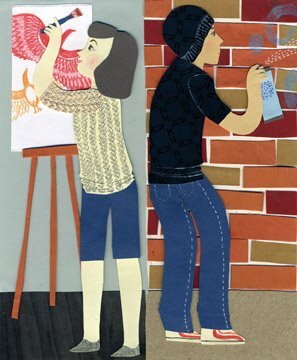 First designed as my giveaway for the Sheridan College BAA Illustration end of year show, Headlines, in 2007. This was such a big hit that i decided to print off more and send them out to a wider audience. In the end, I must have sent out over 250 of these to a variety of Canadian and American magazines. Each one was hand cut by yours truly and packaged in envelopes made from 100% post consumer paper.